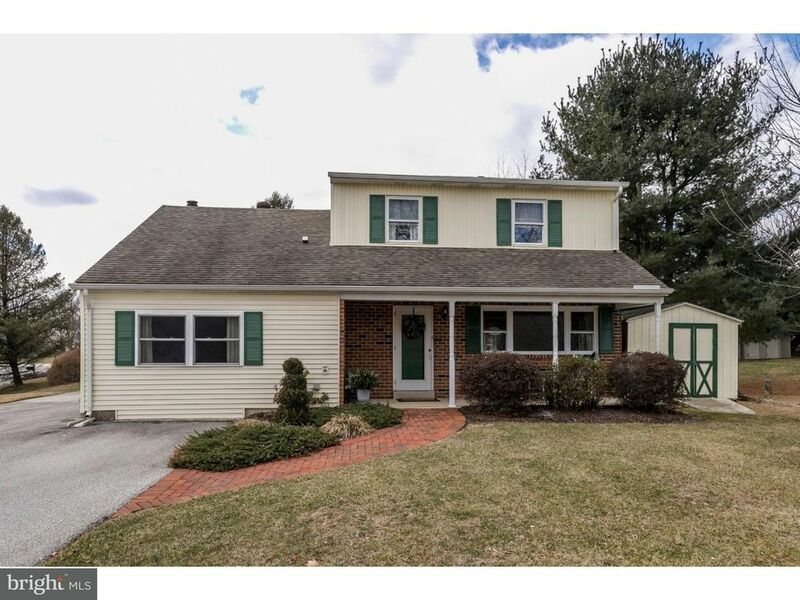 You are going to fall in love with this charming, 2-story colonial, nestled on a corner lot and located in the desirable community of Whiteland Glen in West Whiteland Township. 201 Laydon Lane is a 4 bedroom, 2.5 bathroom home with a park-like setting that will give you over 1,800 sq ft of generous space to move about (without losing that quaint, cozy atmosphere when it's time to cuddle up for movie night or with a good book). Enter into a spacious living room area, adorned with wide-planked flooring and an enormous three panel window with custom window treatments. The adjacent formal dining room gives a Crate and Barrel feel with custom window treatments, ceiling medallion and updated lighting fixture. The kitchen has been updated with granite counters, tumbled tile backsplash, stainless steel appliances, a wine/beverage refrigerator and an undermount sink with bronze faucet. The charming, formal dining room is anchored by a wood-burning stove with a solid brick surround, perfect for those chilly, winter evenings. Neatly tucked away, is the powder room, which is also adjacent to the large family room. A main floor laundry is well-situated away from your guests but close enough to be convenient. Upstairs you will find a sunken master suite with a 3-piece bathroom and a large walk-in closet. 3 additional bedrooms (one currently used as an office) and a full hall bathroom round out this floor. Pull down attic stairs lead you to a plethora of storage. Your backyard oasis awaits with plenty of room for gardening, sports or plain old relaxation. A screened in gazebo will allow for enjoyment during the buggy season and also included is a shed to keep all of the lawn care equipment neatly organized. Situated in a friendly community with an award-winning school system on the outskirts of West Chester, just eight minutes from the magnificent downtown Boro. This property is only available to the buyer who acts NOW. Stop reading and start packing!